Project Costs: NOTHING. NADA. ZIP. ZERO. 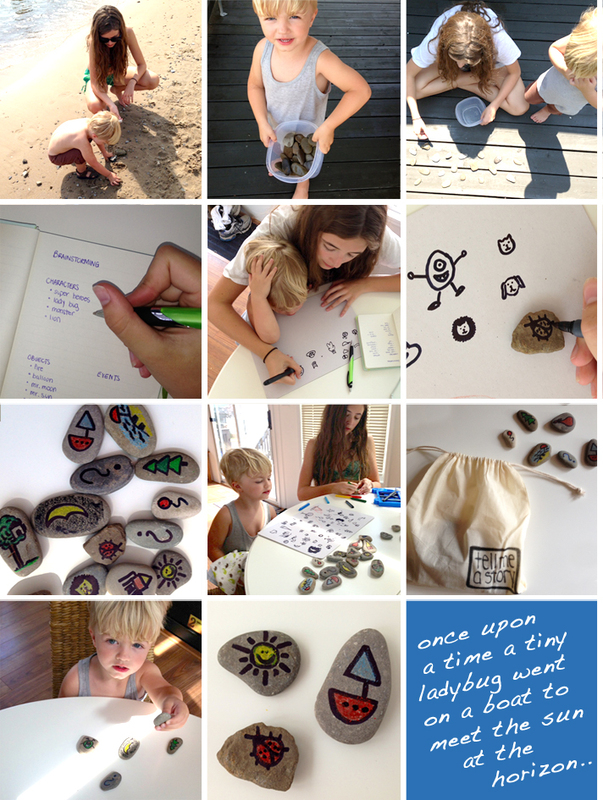 Collect 15-25 nice, smooth beach stones with a flat surface and large enough to make a small drawing on (min. 1.5-inch diameter). Wash your stones and dry in the sun so they are clean and dry. Brainstorm time. Think of some ideas for “objects” (for example; chair or magical wand), “characters” (dog, Spiderman, or name of your child) and “settings” (beach, home, forest), so you have some core elements for storytelling. 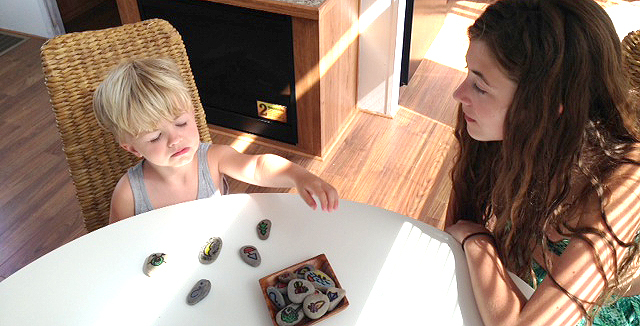 When we came home, Kaitlyn created a little fabric bag to hold the stones, but during our beach stay we had them in a Tupperware box.